Home Health Preferred, LLC is committed to providing you the best care at home through our stellar and one-of-a-kind services. With our dedicated and compassionate staff and personalized approach to care, we guarantee comprehensive care solutions performed with utmost attention to safety, reliability, and quality. Our home health services offer a wealth of opportunities for patients and families. We help you cope with the everyday living situations that may pose a challenge given your fragile health. It is our duty to offer quality assistance with the activities of daily living, allowing you to accomplish the necessary everyday tasks essential to your health and well-being. 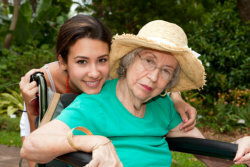 We help you or your loved one live a fully functional life that is not, in any way, dictated by age, illness, or disability. Our quality services are delivered with the goal to help patients achieve their maximum functional capabilities within the comforts and security of their own homes. We have an enduring mission to grant peace of mind and enhance the quality of life of our patients and their loved ones. Whatever health struggles and challenges you may face at home, we will always be ready to provide personalized services specifically structured around your everyday needs and goals. If there is anything you need to ask or inquire about Long Term Care in Aurora, Colorado, our friendly representatives would be more than happy to provide assistance. Feel free to get in touch with them at 1-720-370-6772. Better yet, schedule an immediate consultation with us today, totally free of charge!